Unbelievable advancements are being made in the 3D-printing world. Some ideas that were mere fantasy a few years ago are now in the works. For example, NASA is sending the world’s first 3D printer into space; the body of the Urbee hybrid car is 3D printed; the first 3D-printed house is scheduled to be built in 2014; Cornell bioengineers are already 3D printing ears; custom jaw transplants have been created with a 3D printer; and hopefully 3D-printed organs such as kidneys are on the horizon. But there are still some myths about 3D printing. 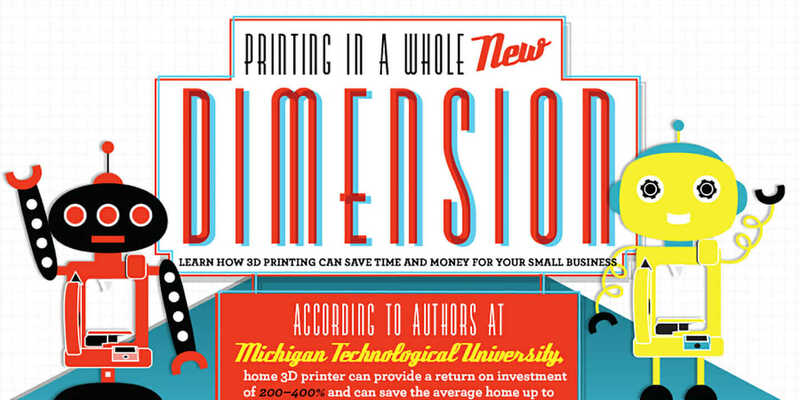 Will there soon be a 3D printer in every home? Maybe not. Unless you have some working CAD knowledge, it could just collect dust. And are criminals going to be 3D printing their own guns? Unlikely. Not very cost effective or easy to do. In reality, though, there are plenty of practical applications to use 3D printing for your business: prototypes for products, promotional items, replacement parts for appliances and machinery, and more. Check it all out in the infographic below. There are still some hurdles to clear, such as cost of materials, speed, and print quality, which you can read more about in “Early Adopters: Is 3D Printing Right for Your Business?” But there’s good reason to be optimistic: You can pick up a consumer 3D printer for less than $2,000, and professional printers start at $5,000. A few years ago, you wouldn’t have found one for under $10,000. And one case study from UC Davis—which compares in-house 3D printing jobs to buying from a supplier—reveals that you can recoup 18 percent of the cost of a printer in just one job. Plus, you don’t have to wait for the product to be shipped! Have you tested out 3D printing at home or for your small business? Did you make any interesting discoveries? Or if you haven’t, what’s your hesitation to diving in?